The Life Path( fadic number) is the sum of the birth date. This number represents who you are at birth and the native traits that you will carry with you through life. The most important number that will be discussed here is your Life Path number. The Life Path describes the nature of this journey through life. 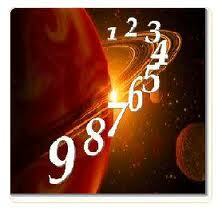 The “master numbers, ” 11, 22, and 33, have been incorporated within the corresponding single digit number readings. See article about master numbers.